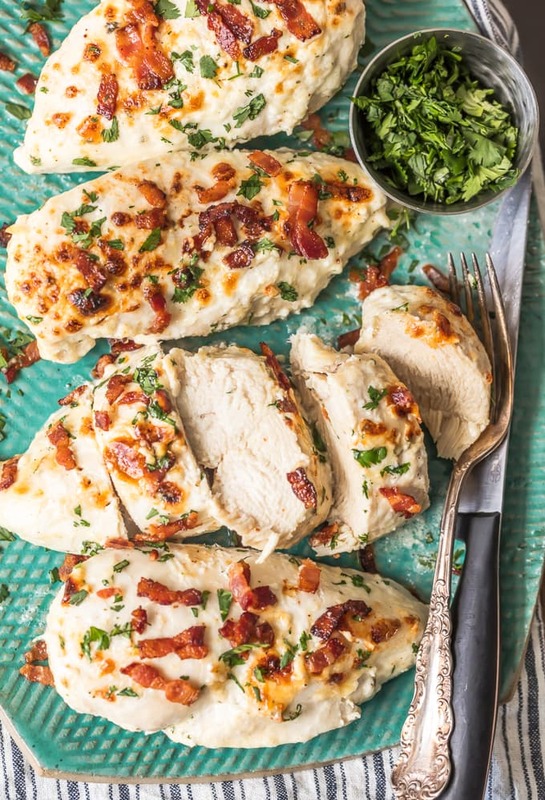 Ranch Baked Chicken with Bacon is one of my favorite Chicken Breast Recipes! 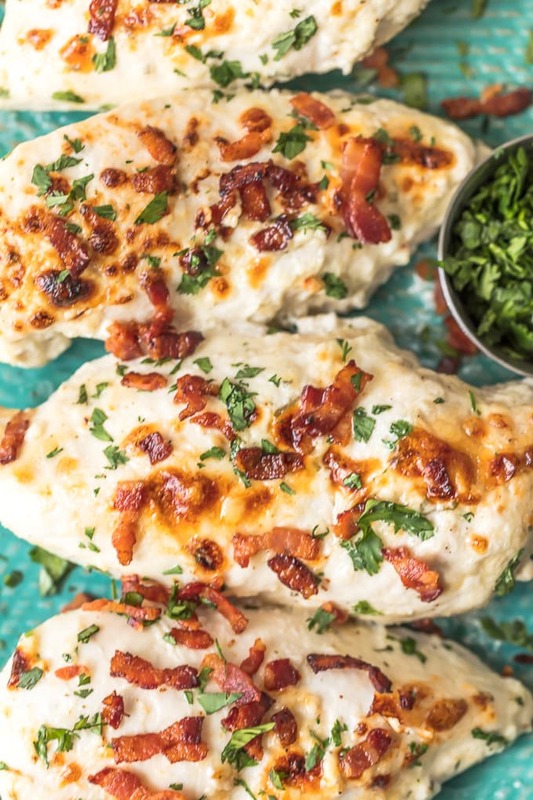 This Bacon Ranch Chicken is super simple (only FIVE ingredients! ), absolutely fool-proof, and has so much flavor. 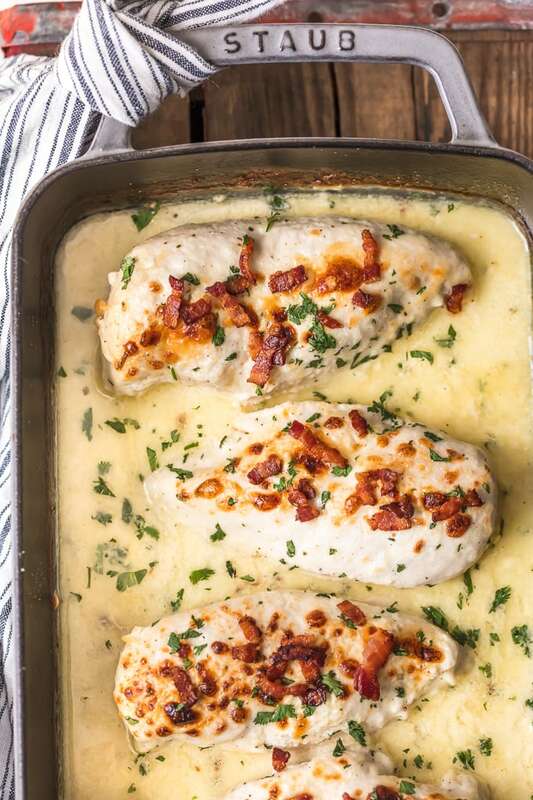 Your baked chicken will come out juicy and tender every single time covered in the easiest and tastiest bacon ranch sauce. Ranch Chicken has never tasted better! 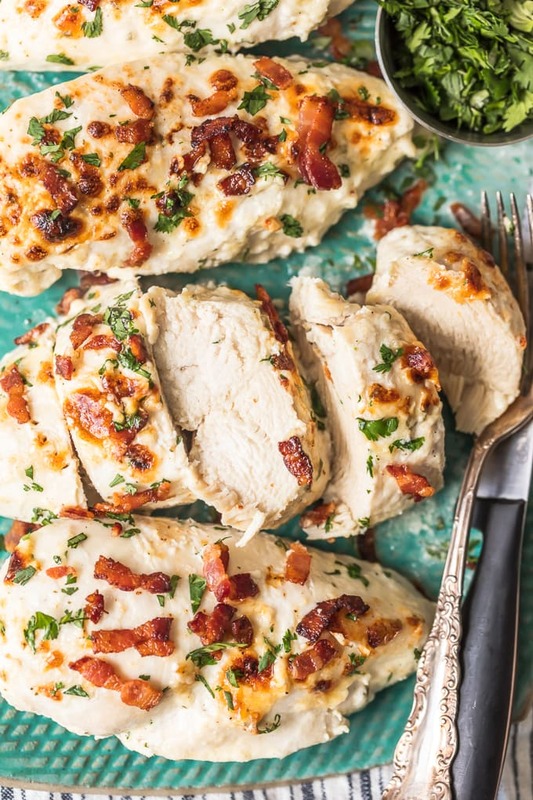 This Ranch Baked Chicken with Bacon is the type of easy recipe I built this site on. It’s perfect every time, loved by all, and oh so simple! 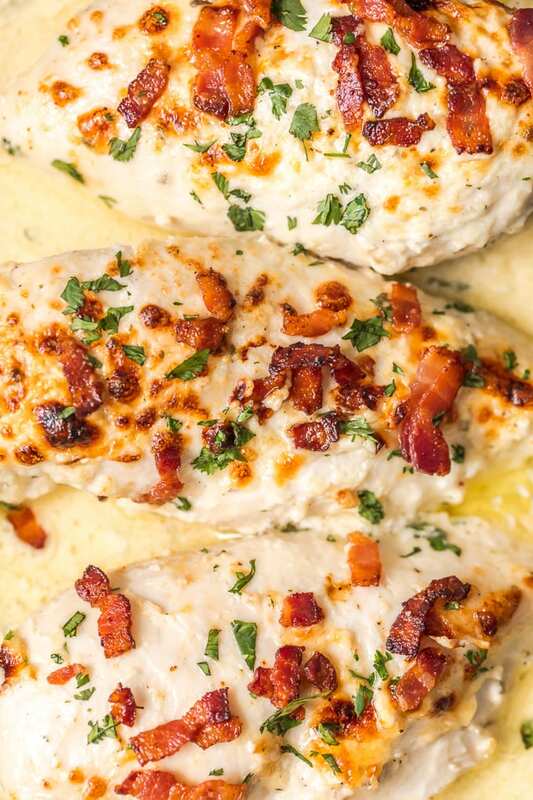 All hail the Baked Bacon Ranch Chicken! You guys made yourselves loud and clear when I posted our 4 Ingredient Creamy Caesar Chicken. It quickly rose to one of the most popular recipes on The Cookie Rookie within weeks of when I published. 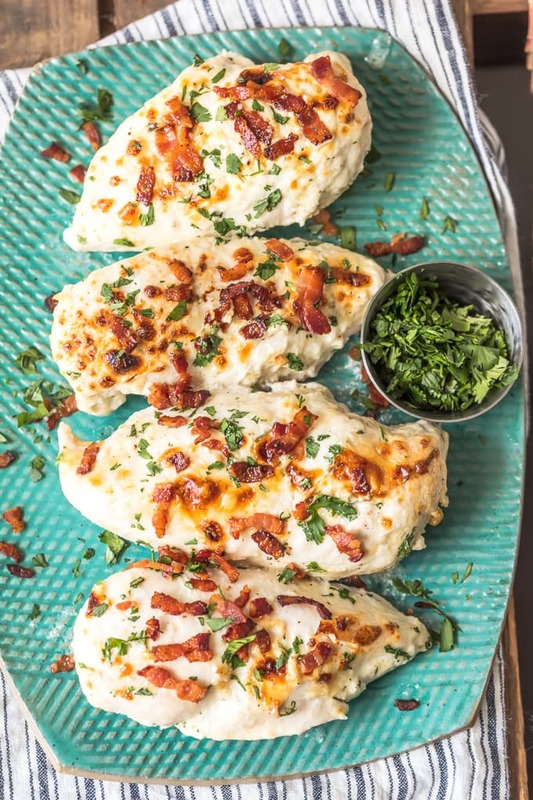 I knew I had to think of some other easy options that were similar but with different flavors, and this Ranch Baked Chicken with Bacon was formed! Ranch Baked Chicken will be your family’s new favorite weeknight meal. This recipe will be requested again and again. I guarantee it! 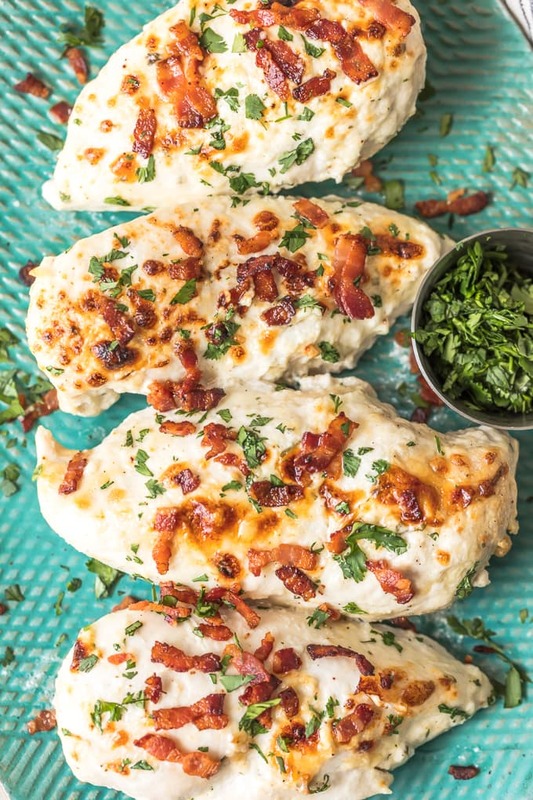 Baked Ranch Chicken with Bacon is a classic and EASY weeknight meal. I love that this Bacon Ranch Chicken is the type of meal that everyone will love. Everyone from my Dad down to my 1 year old son devoured their portions and asked for seconds. IF there’s any leftover after dinner, it reheats like a dream for lunch the next day or even supper the following night. There’s no way to have a bad day when you know this Ranch Chicken is waiting for you. I love that so many people have told me they love to make our Creamy Caesar Chicken for dinner parties. It’s fool-proof and so versatile; loved by all. Don’t tell anyone, but I actually think I prefer this Baked Bacon Ranch Chicken. The flavors are so simple, yet so classic. You’re gonna love it! Click here to check out our Baked Chicken Guide for more EASY baked chicken recipes! It should take about 20-30 minutes for this chicken to be cooked through. You’ll know chicken is done when it’s juices run clear when poked with a sharp knife and it’s no longer pink. I’m always careful to make sure my chicken is fully cooked, but I also am very careful to not overcook. No one likes dry chicken!! This recipe is fool-proof because of the sour cream sauce that covers as it cooks. Ranch and sour cream cover the chicken to keep it moist while it cooks. That’s why it’s fool proof! You cannot mess up this recipe. What is the temperature for cooking chicken in the oven? We chose to cook this recipe at 375F. I like that temperature for ensuring the chicken stays tender while it cooks. You’ll see all kinds of variations online, and none are wrong, this is just our preference! What is the internal temperature for Baked Chicken Breast? The FDA is very clear that chicken should be cooked to 165F to avoid salmonella poisoning. This is so important!! I always recommend people buy a quality quick digital meat thermometer to keep in the kitchen. It’s one of my most used items in the kitchen! I like this one because it actually lists internal temps for different types of meat right on the thermometer, and it’s reasonably priced. WIN! What kind of Ranch Dressing did you use for this recipe? I always use a thick and creamy ranch dressing when I make this recipe. You really can’t go wrong with just picking your family’s favorite. This time we used our own Homemade Ranch Recipe but if you want to use store bought, that’s okay too! Just pick a creamy option and go with it! 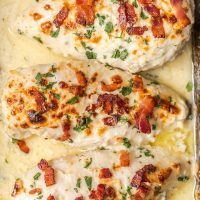 Are there any ways to make this Bacon Ranch Chicken healthier? The Cookie Rookie is practically famous for amazing Chicken Recipes, mostly due to this Bacon Ranch Chicken. We have so many other chicken favorites that I hope you check out, and even have a FREE EBOOK for subscribers (click to find out more). I’m here for all your easy chicken recipes needs! 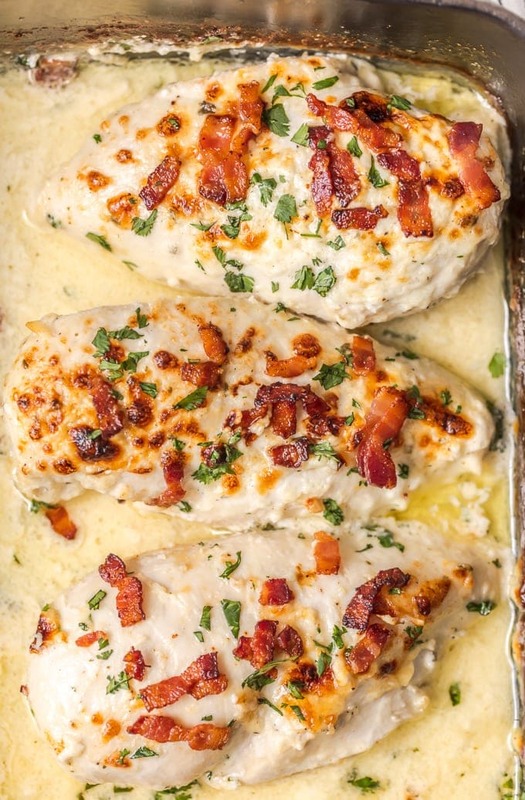 I just know you’re going to love this Ranch Baked Chicken with Bacon as much as we do. It’s a big hit with our family and I hope yours loves it as much as ours. I can’t wait for you to try it! Watch the video or see the recipe card below for full details on how to make Bacon Ranch Chicken! If you’re craving more Chicken Recipes, we’ve got you covered! Heat oven to 375°F and spray an 8 x 11-inch baking dish with cooking spray. If the breasts are uneven in thickness, pound them to an even 1” thickness using a meat pounder. Sprinkle both sides of meat with half the grated Parmesan cheese, salt and freshly ground black pepper. Place the chicken in the prepared baking dish. 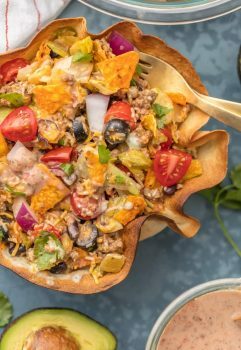 In a medium bowl, whisk together Ranch dressing and sour cream. Pour the mixture over the chicken breasts and sprinkle with remaining Parmesan cheese. Bake at 375°F for 20-30 minutes or until a meat thermometer inserted in the thickest part of the breast reads 150°F. Set oven to broil and broil the breast an additional 2-4 minutes or until the chicken turns golden. It will burn quickly so watch closely. The chicken is cooked through when the thermometer reads 160°F when inserted in the thickest part of the middle breast. Remove from the oven and sprinkle with cooked bacon crumbles. Allow the chicken to rest a few minutes before serving. Garnish with diced parsley, if desired. This recipe took the healthy right out of the chicken !!!!! Hey Jim- yes I definitely don’t claim this is a healthy recipe. Ranch and bacon tend to do that. I do have some healthier recipes if you’re interested! Your story states that you like 350 degrees for this recipe yet the recipe card says to preheat & bake at 375 ????? I made this tonight for a quick and easy dinner, but my ranch separated. I make my own ranch dressing using equal parts Greek yogurt and mayo. Your sauce looks so creamy. The flavors were all there but my sauce didn’t look as good as yours. Any pointers? Thanks! 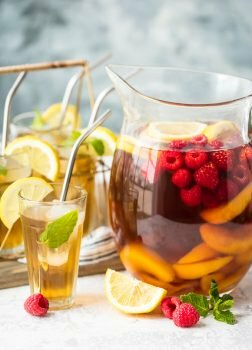 I love your recipes and your website! 930 calories per chicken breast or divided by how many chicken breasts? Hi Bryan. I know you don’t have a way to know this, but the website costs thousands of dollars a month to run at this point. To keep the site free for visitors, ads are a necessary evil. I understand your concerns, but there is a “jump to recipe” button at the top of each post that will take you to the recipe card and bypass all the content/ads. We are all just trying our best! Hope you have a great day. Made this tonight and the chef/beau actually ate it and said had a good, different taste! Shocking! Thank you! I might reduce the sour cream in the future as I felt as though I could taste it more than I’d like, but overall very yummy! I mixed less parmigiano-reggiano cheese with a cheese blend (as I’m not a huge parm fan) and used Simply 60 ranch dressing to lower the fat/calories. Super easy and enjoyable! Thank you for sharing this recipe! You could skip the parmesan if you dont have any. It’s better with it, but cream cheese would be a totally different consistently unfortunately! Oh my goodness, this was such a big hit with myself, son and grandkids! And soooo easy! Will make again, but going to try another recipe from your site first. Thank you! Thank you Debbie! I’m glad everyone loved it. Let me know what you try next!